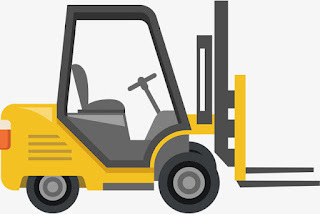 Daniel Cotto worked as a forklift operator at Ardagh Glass in Bridgeton, N.J. On November 1, 2016, Cotto hit his head on the roof of a forklift at work while clearly working in a safety sensitive position, according to a recent New Jersey federal court order. Cotto was sent to an Orthopedics clinic for a medical examination, where the doctor placed him on light duty work. The Ardagh Glass Safety Department asked Cotto to submit to a breathalyzer and urine test in order to return to work. Cotto explained that he was taking prescription medications, including medical marijuana under the New Jersey Compassionate Use of Medical Marijuana Act (“CUMMA”). He was also taking prescription Percocet and advised the company that he could not pass any urine or drug test. Cotto claimed that he revealed his prescription medications to the company when he was hired, and that his doctor had given him a note stating he could operate machinery while using these drugs. Ardagh Glass advised Cotto that it was not concerned about his use of Percocet but was concerned about his use of marijuana. Cotto was not fired but he was placed on an indefinite leave. He was not permitted to return to work until he could pass a drug test. Cotto’s doctor wrote that Cotto had lifting restrictions because of medical conditions, but Cotto maintained that he could perform the essential functions of the job. He sought a “reasonable accommodation,” specifically asking that the Ardagh Glass waive any requirement that he pass a drug test for marijuana. Eventually Cotto filed suit in Superior Court of New Jersey, Cumberland County, asserting claims of disability discrimination, the "perception of disability discrimination," a failure to accommodate, retaliation, and a request for equitable relief including costs and reinstatement. Ardagh Glass then removed the case by invoking the Federal Court's diversity jurisdiction under 28 U.S.C. § 1332, and moved to dismiss the complaint in its entirety because CUMMA does not mandate an employer waiver of a drug test. While the federal court agreed that Cotto plead enough to satisfy coverage under the New Jersey Law Against Discrimination, for his back and neck pain, and he appeared to be qualified to perform the essential functions of the job, Cotto could not show that he could operate machinery while using marijuana. The Court next noted that while CUMMA provides an affirmative defense to New Jersey patients who are properly registered under the statute and subsequently arrested and charged with possession of marijuana, decriminalization of medical marijuana does not shield New Jersey employees from adverse employment actions. These are the thirteen states with Medical Marijuana Cardholder Protection laws: Arizona, Arkansas, Connecticut, Delaware, Illinois, Maine, Massachusetts, Michigan, Minnesota, Nevada, New York, Oklahoma, Pennsylvania, and Rhode Island. The case is Cotto v. Ardagh GlassPacking, Inc., No. 18-1037 (D.N.J. August 10, 2018), and is the first decision in New Jersey on the issue of employer reasonable accommodations and CUMMA. Common Sense Counsel: knowing the state drug testing laws, and having the correct policy language is absolutely critical to winning these cases.